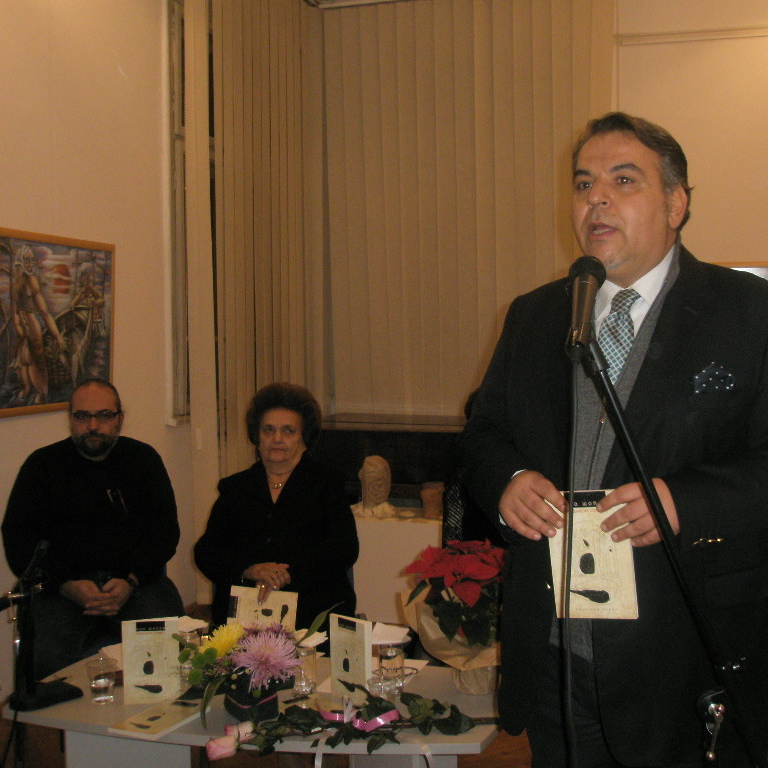 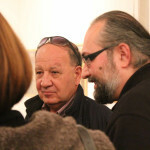 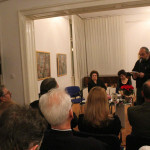 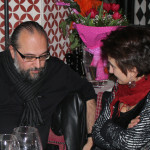 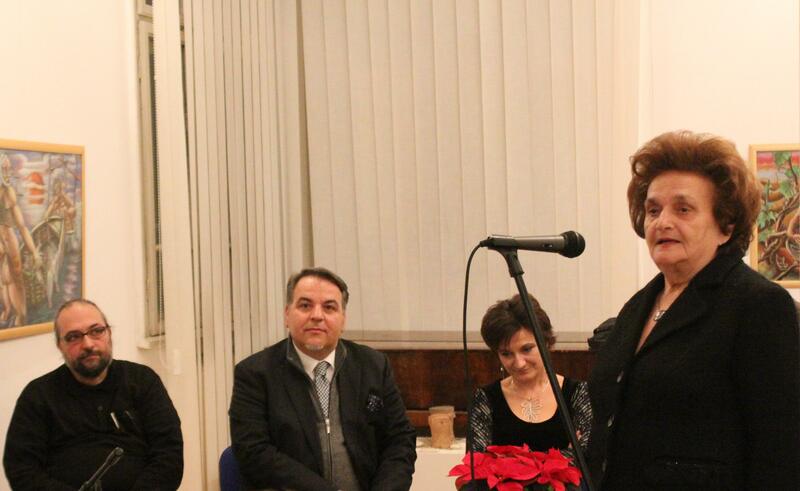 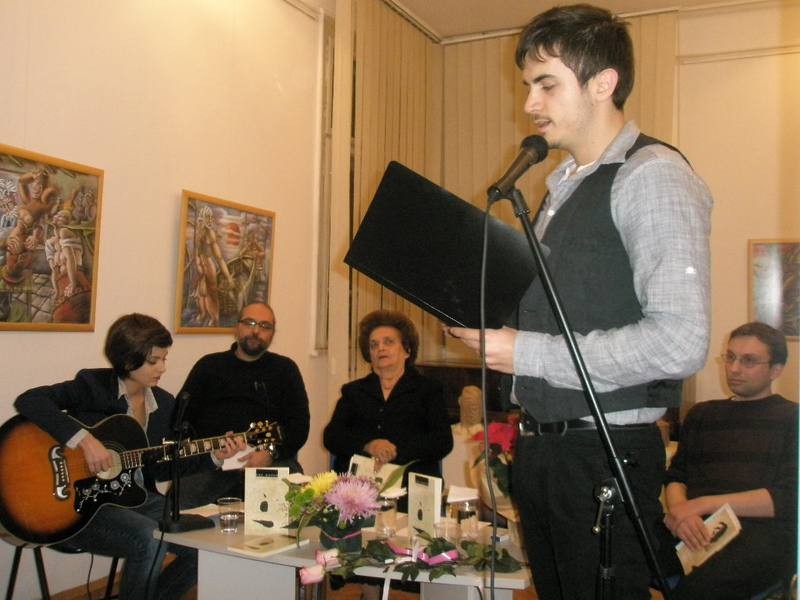 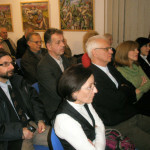 On 27 November 2013, the director of the Macedonian Cultural Centre in Sofia, Vasko Šutarov, organized the promotion of Aco Sopov‘s first book to be published in Bulgarian under the title Раждание на словото (Birth of the Word). 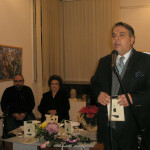 The author of the choice of poems, of the translation and the illustrations of this book published by Avangard Print, in Ruse, is Bulgarian poet and painter Roman Kissiov. 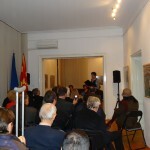 The warm welcome from the host, Vasko Šutarov, the poet’s widow Svetlana Šopova’s both emotional and lucid recollection of the past, and the beautiful interpretation in Macedonian and in Bulgarian of young actor Ivan Kalošev, accompanied by talented guitarist Iva Hristovska, turned this evening into a convivial moment the public will remember. 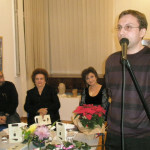 On the table in front of the speakers, a flower bouquet, gift to Aco Sopov’s widow and daughter from Bulgarian poet Ljubomir Levčev served as a token in absencia of pen brotherhood. 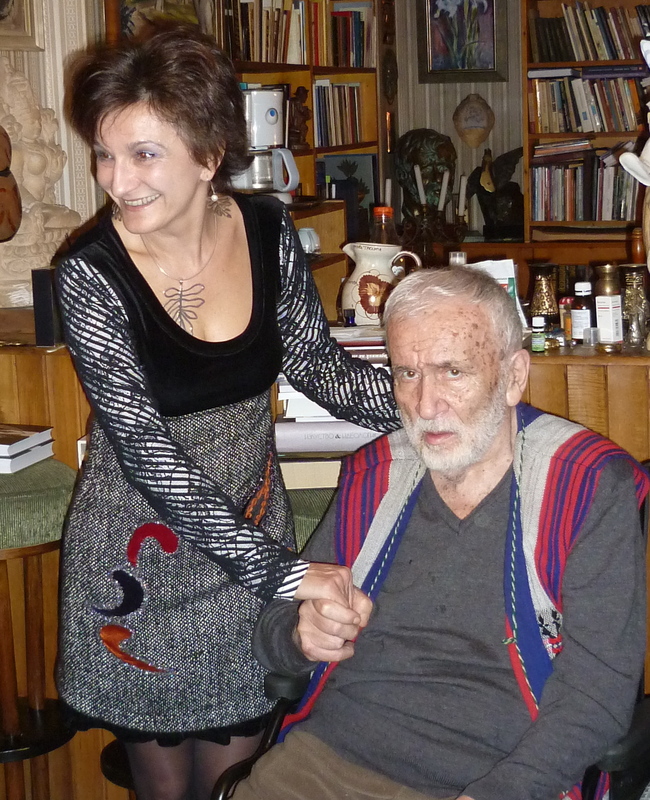 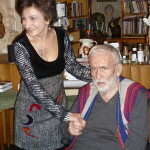 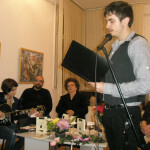 Despite his poor health Ljubomir Levčev, also organized a more intimate tribute to his friend in his home a few steps from the Macedonian Cultural Centre.